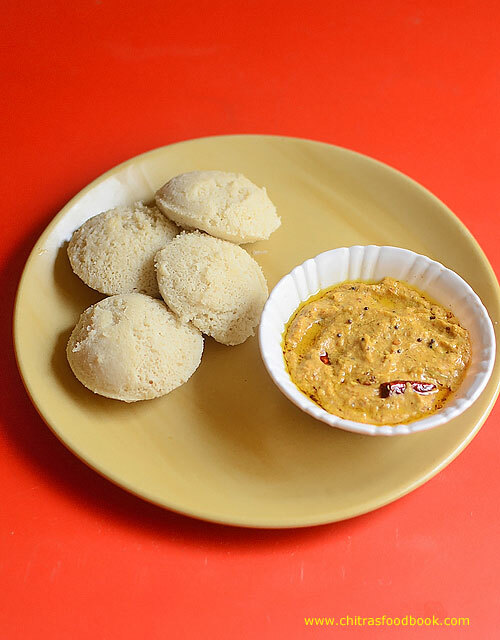 Coconut chutney recipe is the most preferable south Indian side dish for idli, dosa. 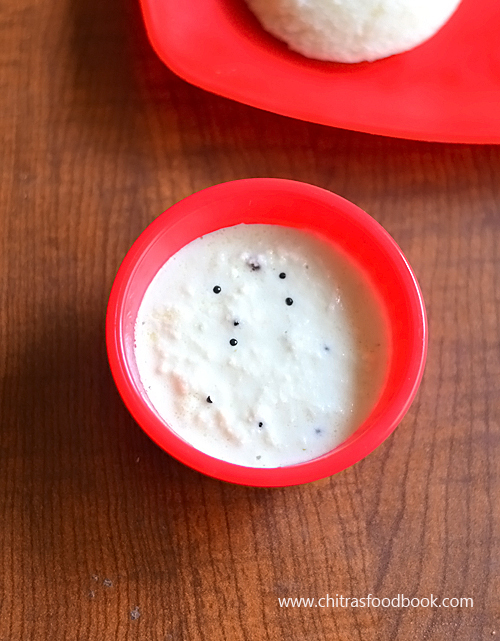 Most of the coconut chutney recipes require no cooking. So it can be prepared without fire. 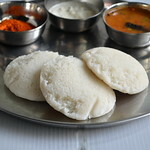 I have blogged nearly 15 coconut chutney varieties for idli, dosa and rice. 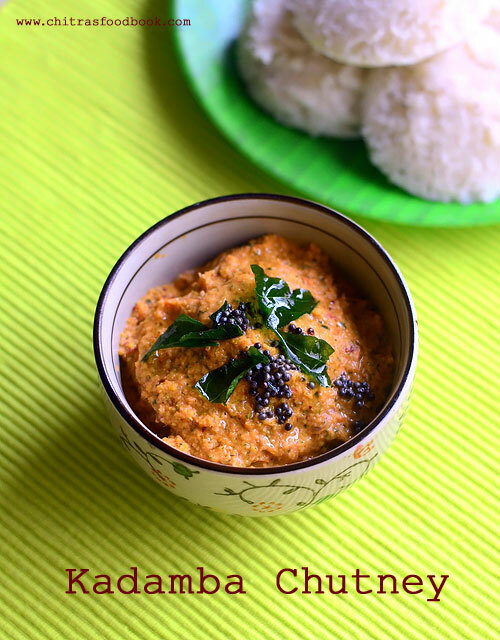 So I thought to have a collection of coconut chutney recipes under one page for easy reference. 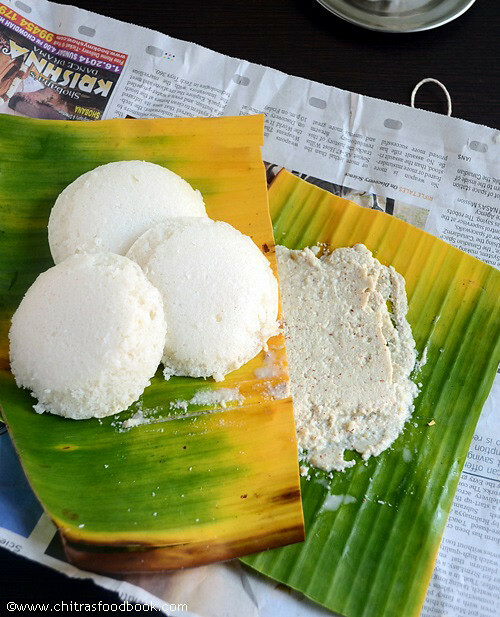 In South India, especially in Tamil nadu and Kerala, coconut is a vital ingredient in our regular cooking. 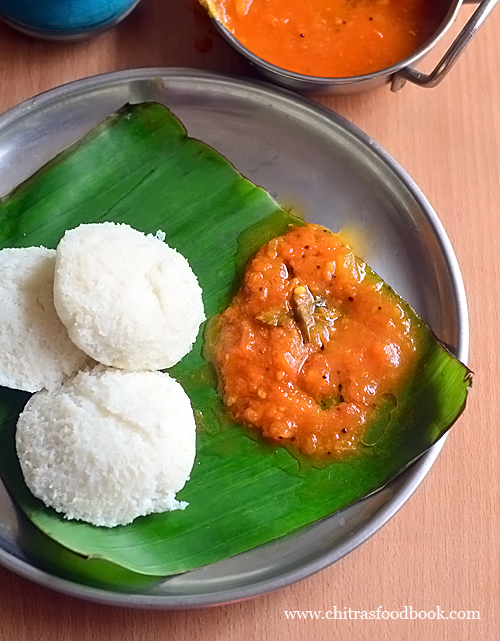 We use coconut in chutney, kuzhambu, kootu, poriyal and even in kurma varieties to grind masala. 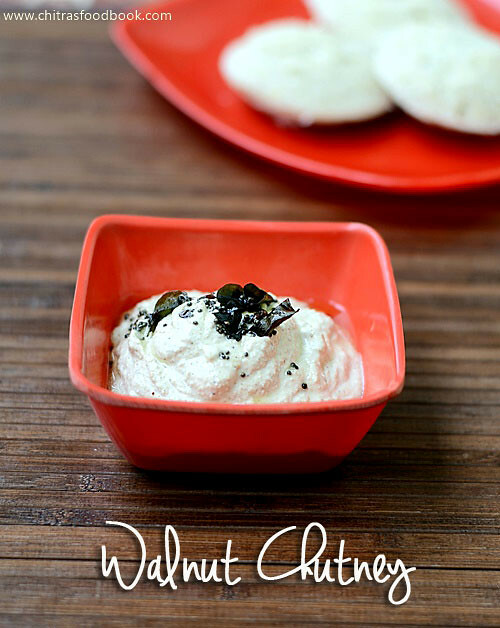 Basically coconut chutney recipes are easy to make and simple to prepare under minutes. 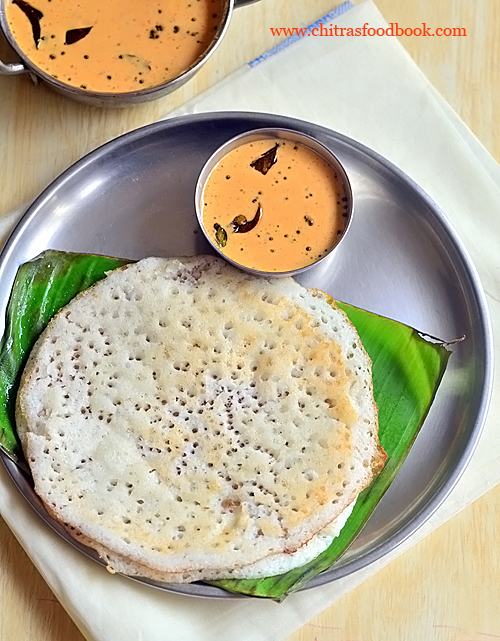 If you want to make a quick side dish for idli, dosa during busy morning hours, coconut chutney is the best option. 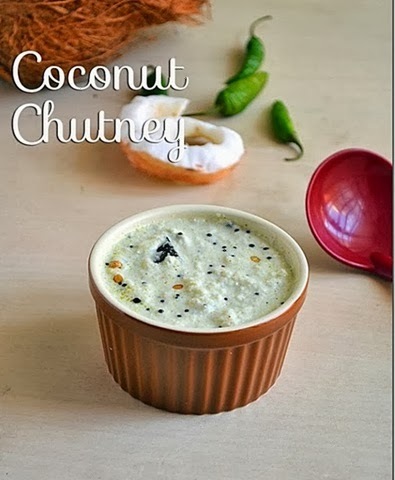 One can make N number of variations in a simple coconut chutney and come up with varieties. 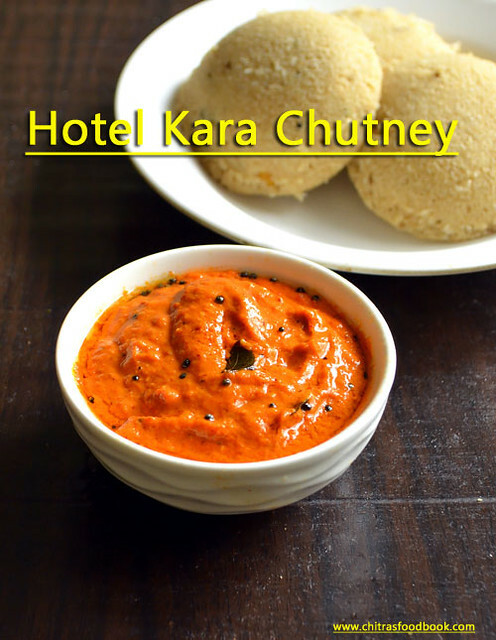 In this collection, you can find hotel style coconut chutney, green coconut chutney, red coconut chutney, coconut chutney without chana dal, coconut chutney for travel, few Kerala style coconut chutney recipes, Karnataka style coconut chutney and much more. 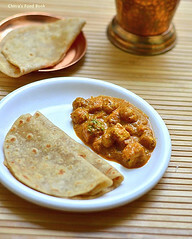 Most of these chutney recipes are learnt from my mom, MIL and cook books. 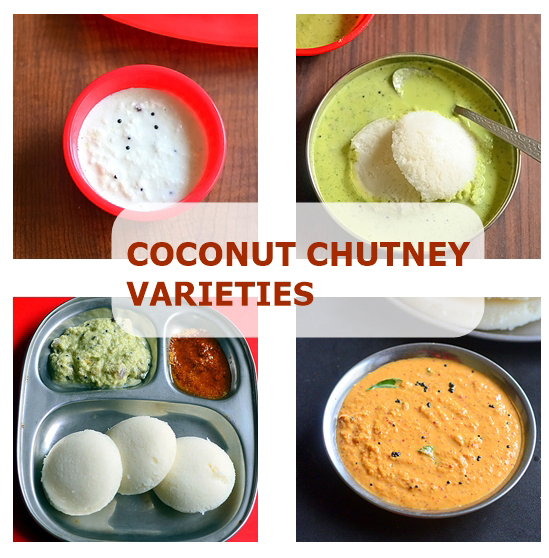 I have also shared 3 different types of coconut chutney recipes in a video. Ok, lets see the collection of 15 coconut chutney varieties below. 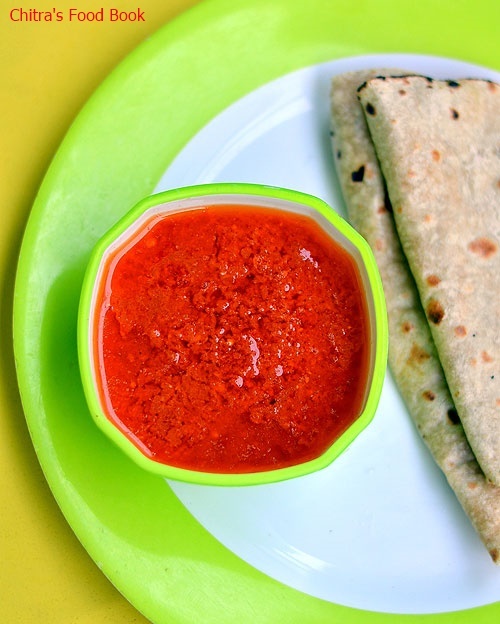 Usually I make tomato raw garlic chutney for roti and paratha. 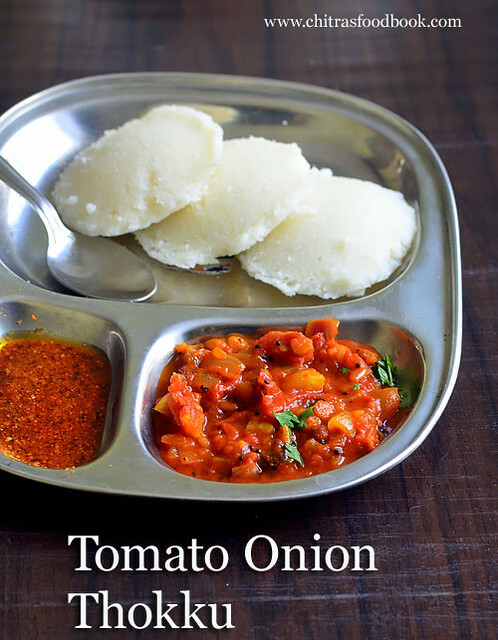 Recently my sister Radha was telling me about this tomato garlic chutney without onion (Thakkali poondu chutney in Tamil) for idli, dosa. I found it so easy and tried it for our breakfast yesterday. 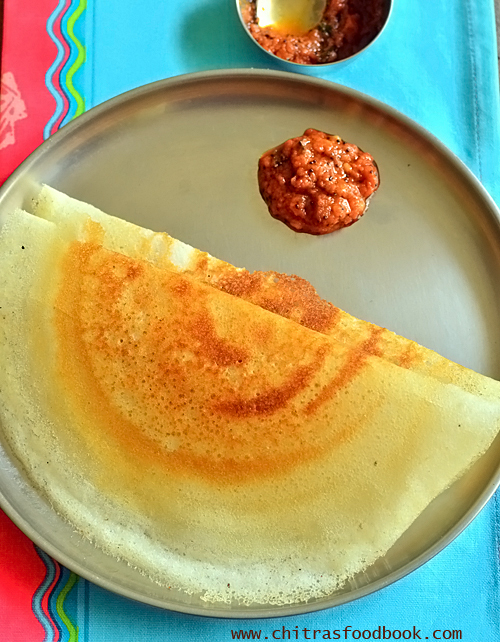 It came out really well and tasted great with dosa. 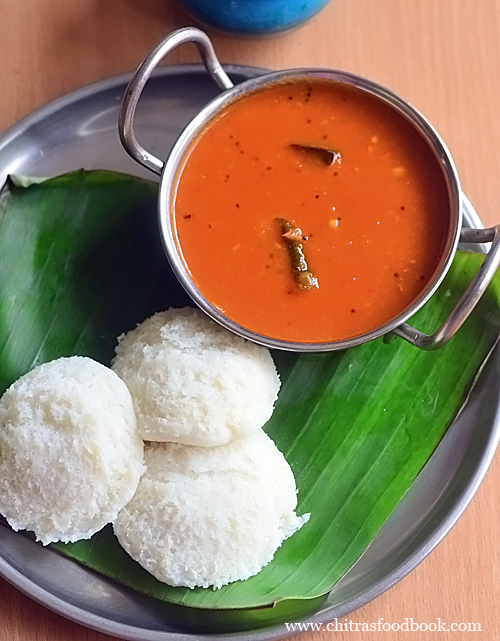 I am sure it tastes the best with hot idli when drizzled with a tsp of gingely oil. 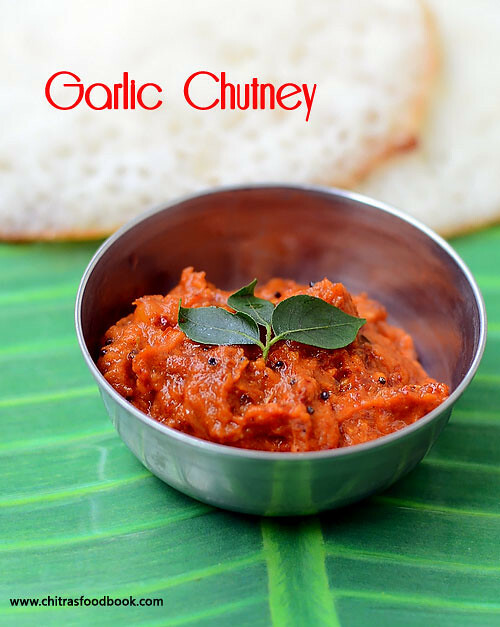 Its a very simple chutney recipe with 3 basic ingredients tomato, garlic and red chilli powder. But one thing we should remember is to add the right quantity of tomato and garlic else chutney tastes bitter or smells pungent. So I always add a pinch of tamarind to balance it. 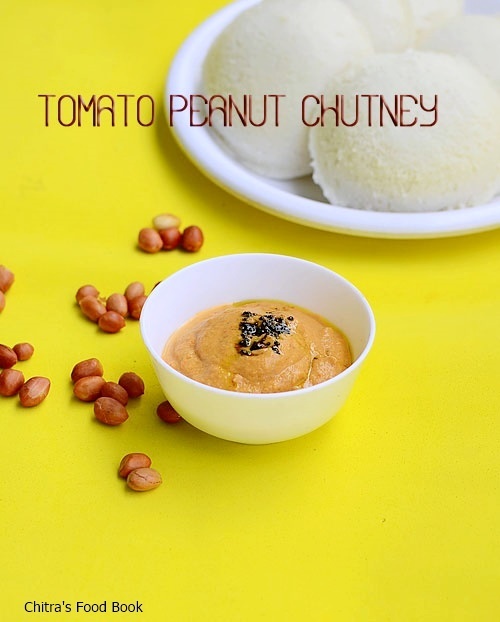 Friends, do try this chutney and enjoy with idli, dosa. It stays good for a week when refrigerated. So you can make in bulk quantity. I hope it stays good for one day travel as this chutney is without onion. 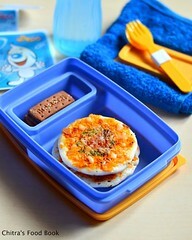 As summer vacation is started, you must be travelling to places with packed food. 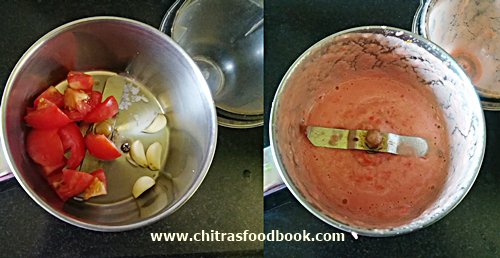 You can try this chutney, pack in an air tight box to avoid oil leakage, use a clean spoon and use it for a day or two. 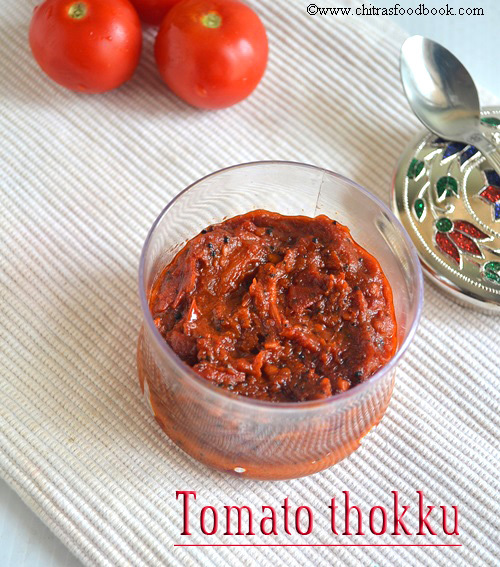 Ok lets see how to make this easy, yummy tomato garlic chutney for idli, dosa with step by step pictures. 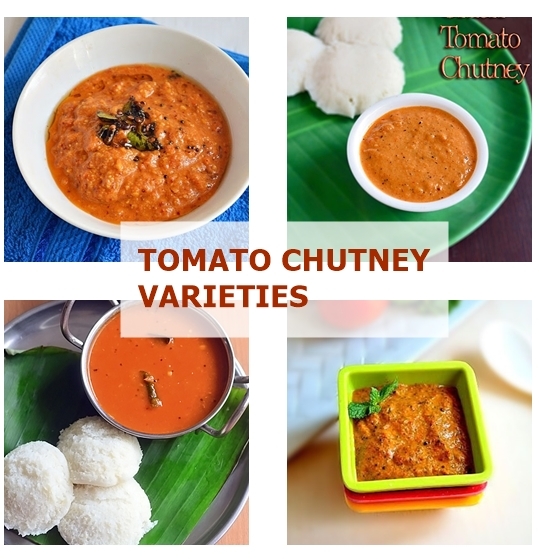 Also check out my 20 tomato chutney varieties, 65 chutney recipes too. 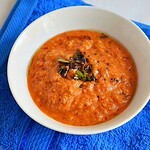 In a mixie jar, take the washed and chopped tomato, peeled garlic cloves, tamarind and salt. Grind to a smooth paste adding enough water. In a kadai, heat oil. Temper mustard seeds, urad dal, curry leaves. Lower the flame and add red chilli powder. Mix quickly without burning it. Add the chutney immediately and mix well. Rinse the mixie jar with little water and add to chutney. Boil in low to medium flame till oil releases in sides. Switch off the flame. Cool down and enjoy ! Wash and chop the tomato. Peel the garlic cloves. In a mixie jar, take the tomato, garlic cloves, salt and grind without water. Add some water and grind to a smooth paste if there are tomato chunks. Set aside. In a wide kadai, heat gingely oil. Splutter mustard seeds, urad dal and curry leaves. Lower the flame completely and add red chilli powder. Mix quickly without burning it. Now add the ground tomato garlic paste. Rinse the mixie jar with 1/2 cup of water and add to chutney. Mix well. 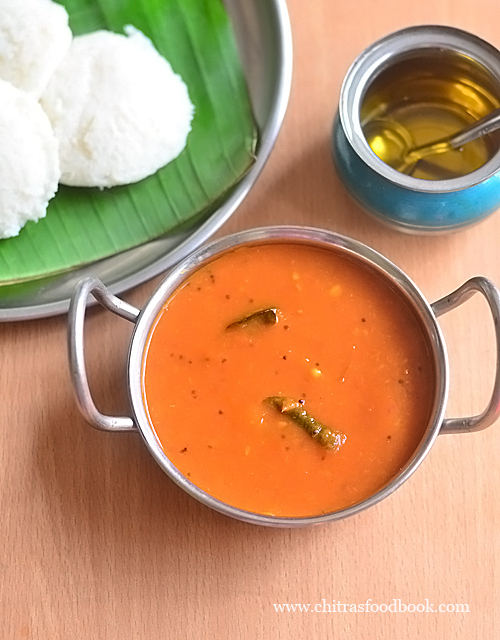 Enjoy this yummy tomato garlic chutney with hot idli, dosa. It stays good for 3 to 4 days when refrigerated. Adjust the quantity of red chilli powder as per its spice level. If you are using big sized garlic cloves, you can reduce its quantity. Make sure you do not burn the red chilli powder while sauting in oil. So do it in low flame. 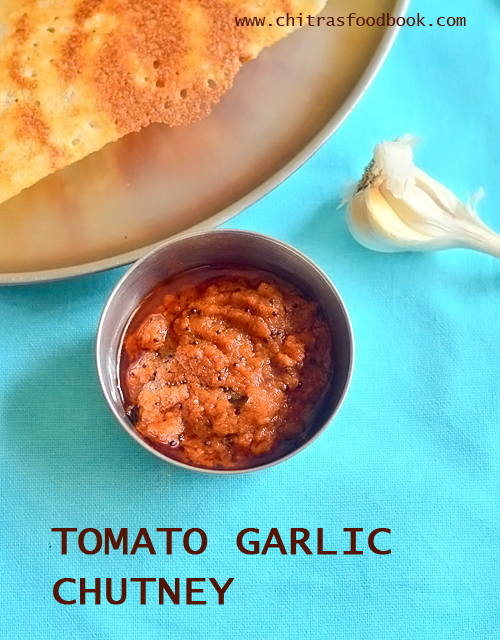 Easy, yummy tomato garlic chutney ready. 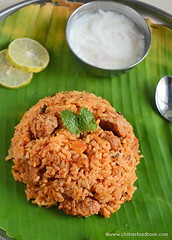 You can enjoy with idli or dosa ! 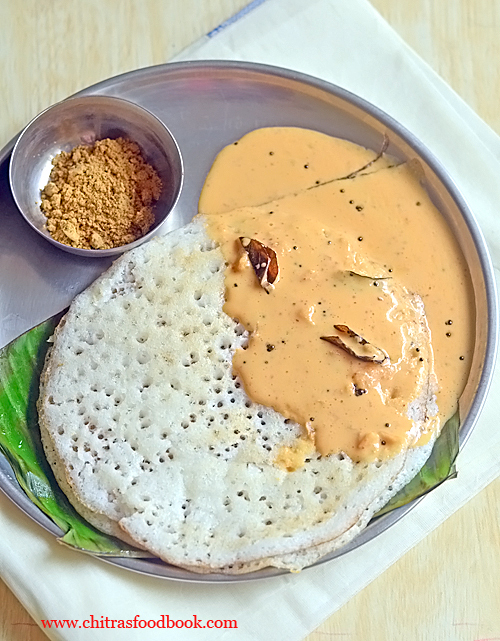 Pottukadalai chutney / udahca kadalai chutney is our family favorite chutney recipe for dosa and paniyaram. According to me, roasted chana dal is the tasty and healthy alternative for people who is looking for chutney without coconut. 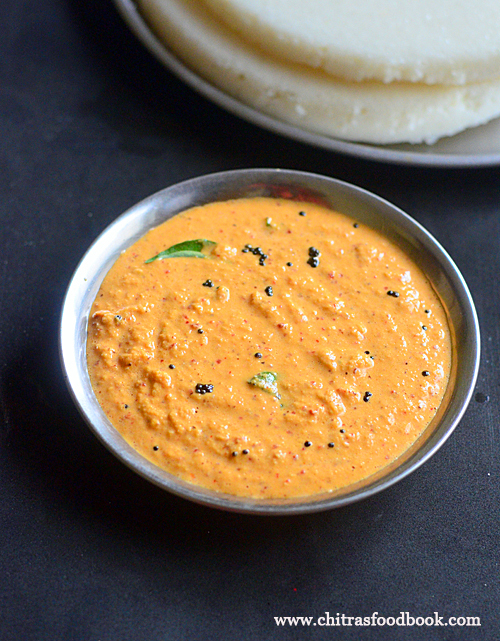 My mom makes a spicy, watery pottukadalai chutney with little coconut (Roasted gram dal chutney in English, Udaitha kadalai chutney in Tamil) for idli, dosa and paniyaram just like street side hotels. Its my most favorite since childhood. 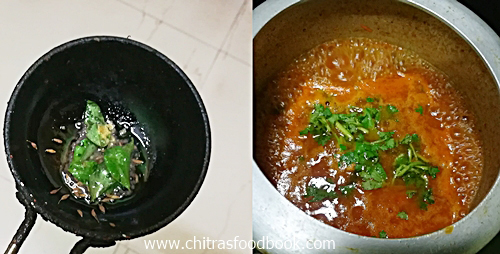 Following my mom, I started trying varieties of pottukadalai chutney recipes with and without coconut, tomato etc. 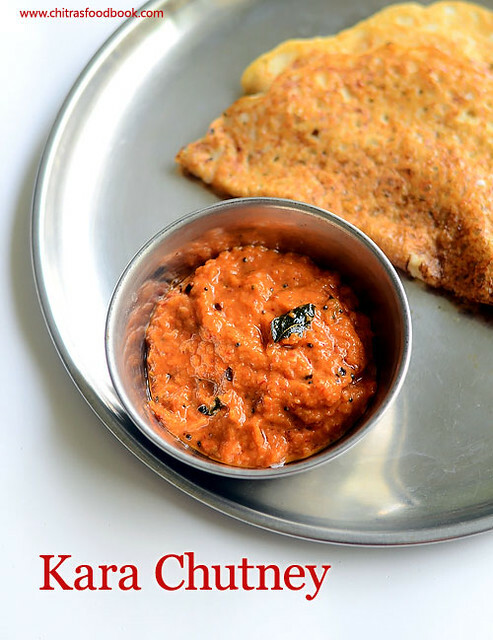 Recently I tried this chutney recipe from a cookbook. 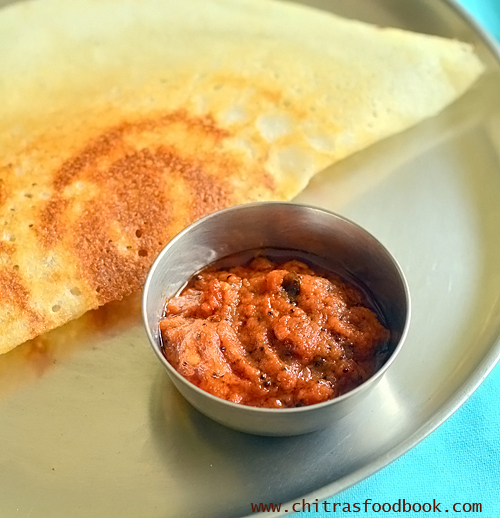 I served it with soft dosa recipe. Many of my readers were asking about its recipe in my instagram page. 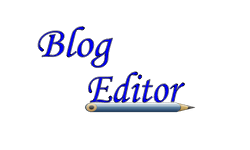 So I thought of blogging it here. 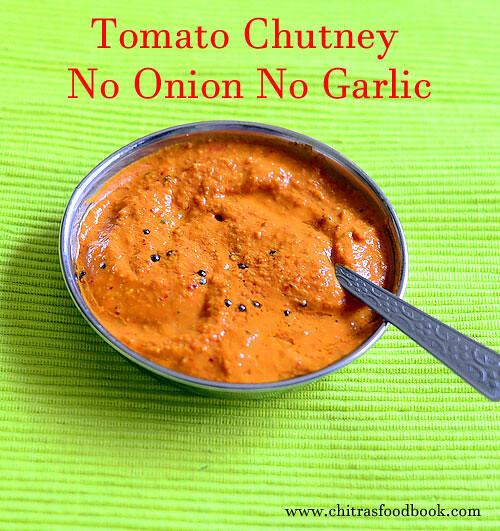 Its a very simple chutney recipe with minimal ingredients. Actual recipe called for adding coconut as well. But I skipped coconut completely and tried it. It came out very well. Do not forget to add more red chillies and temper with mustard seeds, hing. 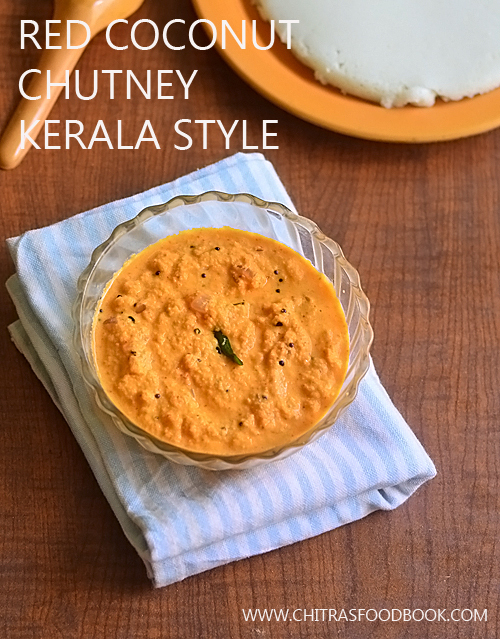 It is the key to make this chutney flavorful and perfect. 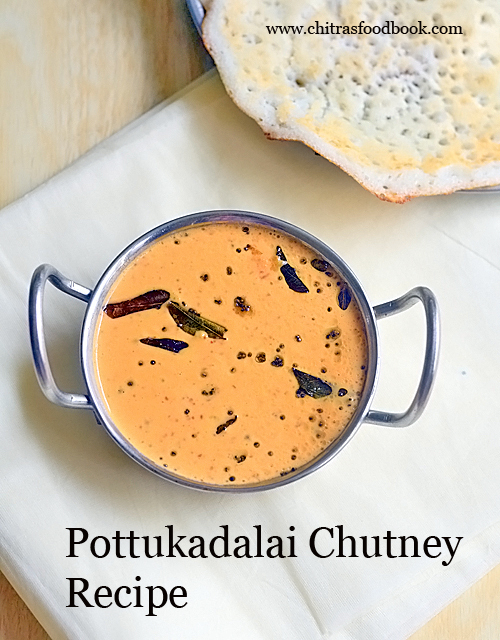 Friends, do try this easy, yummy pottukadalai chutney without coconut and share your feedback with me. 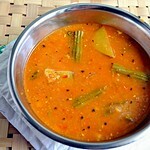 Check out my watery pottukadalai chutney for paniyaram ! Grind all the ingredients to a powder. Then add the required water and grind to a smooth paste. Add more water if you want to make it thin. Heat oil, splutter mustard seeds, urad dal, curry leaves and hing. Add to chutney. 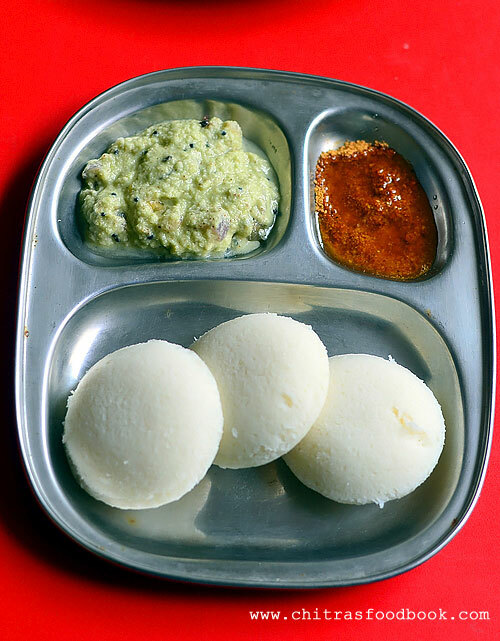 Mix well and serve with idli, dosa. 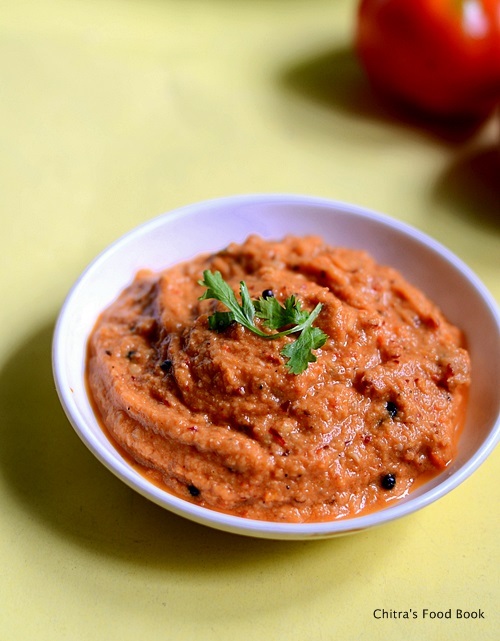 In a mixie jar, take the roasted chana dal, red chilli, tamarind, salt and garlic cloves. Grind to a fine powder without adding water. Wipe the sides. Add water and grind to make a smooth paste. Add more water to make it thin and pourable. Heat oil in a kadai. Temper mustard seed. Make sure mustard seeds splutter well. Then add urad dal, curry leaves and hing. All the ingredients should release nice flavor. 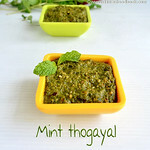 Add to the chutney, mix well and serve with idli, dosa. 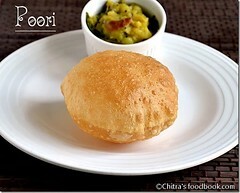 I served it with soft dosa recipe. This chutney tastes the best if its slightly on the spicy side. So adjust the chilli accordingly. Make sure to splutter the mustard seeds. Then add hing. It adds nice flavor to this chutney. 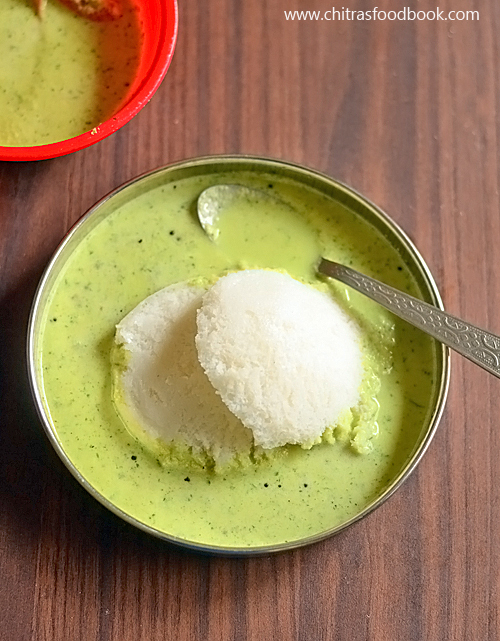 Try this easy, yummy pottukadalai chutney for idli, dosa and enjoy ! 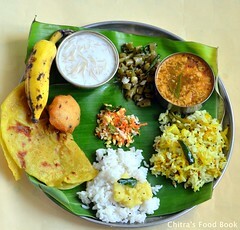 Technorati Tags: Pottukadalai chutney,pottukadalai chutney recipe,roasted chana dal chutney,roasted gram dal chutney,spicy pottukadalai chutney,pottukadalai chutney without coconut.